The Aviationist found this incredible picture taken by Nikos Delhanidids at the Thessaloniki airbase. 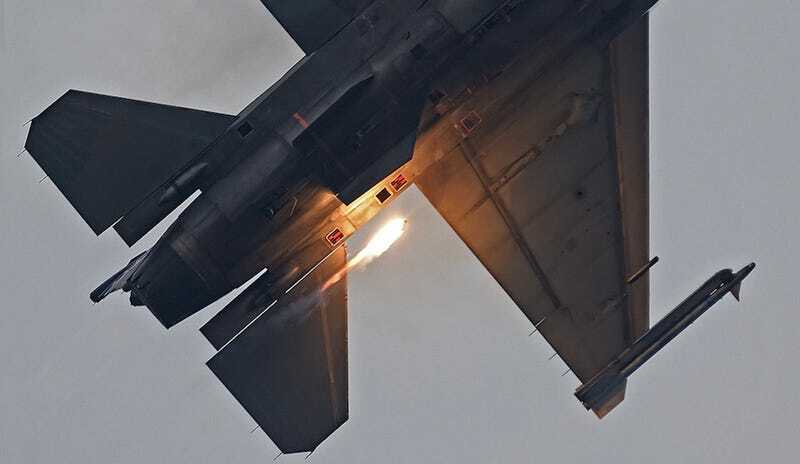 It captures the exact moment an F-16 ejects a flare—which is used to mislead heat-seeking missiles—from the underside of the fighter jet. Great shot.